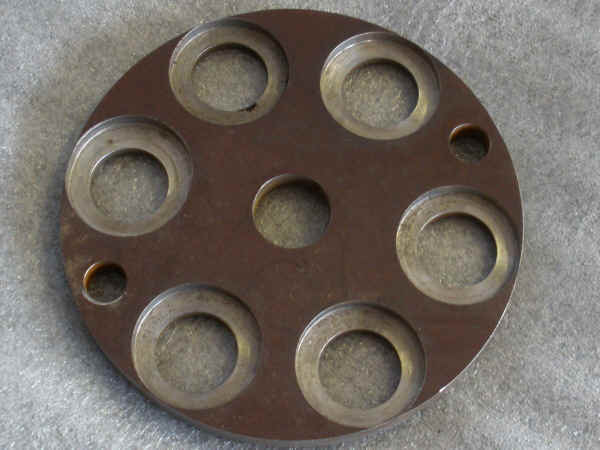 We highly recommend converting to the bimetallic driving discs vs. the old riveted on lining style discs(4B3533). This is an update to the earlier style clutches and cuts down on the possibility of frozen clutches and gives increased life and higher coefficient of friction to your clutches for a longer period of time. It requires 12 bimetallic discs, 5H8530-->8E7628, and 12 steel discs,4B3532, per clutch (the old style clutches used 8 ea). Instead of using the 8 friction discs, 4B3533, with the riveted on linings and 8 steel separator discs, you will use 12 bimetallic (sintered bronze) discs and 12 steel discs for each clutch. The cost per clutch of course depends on how many steel discs you can use from your old clutch. If you can reuse your old steel discs, you only need 4 additional steel discs per clutch. 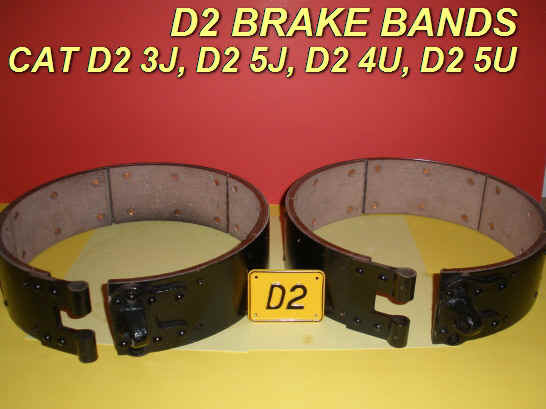 The 12 bimetallic discs cost $216.00 per clutch (12 x $18) and the steel discs are $10.00 each. 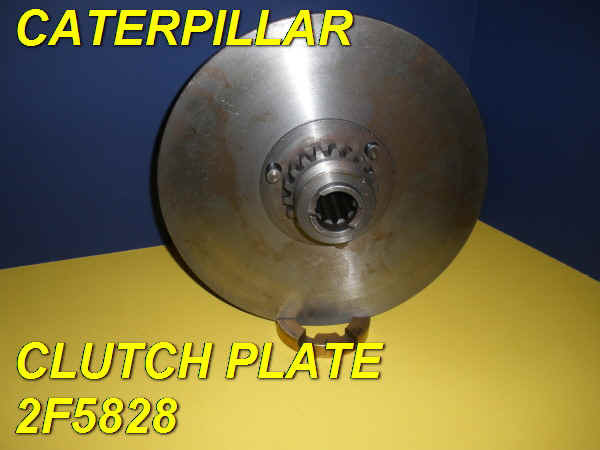 If you have to replace every single disc in each clutch the cost is 336.00 per clutch. If you can salvage your steel discs, you can save the cost of 8 steel discs, or $80.00 savings per clutch, bringing your cost per clutch to $256.00. The 933 11A and 933 42A series use the same discs, Qty 12 ea required for each clutch. The 5H8530 --> 8E7628 bimetallic discs are $18.00/EA. Steering Clutch Compression Tool 56.00 Compress all 6 springs at once for easier assembly and disassembly. 4B3450 Early flywheel clutch driven member (center friction disc) fit the early D2 and R2 crawlers 3J1 to 3J8600, 5J1 to 5J10561, 4J1 to 4J1185, 6J1 to 6J1185 . If you have this disc you will need to upgrade to the later, thicker, friction disc used in the later D2 machines 4U and 5U along with the Pressure Plate and front plate below 8F3041 and 2F5828. We get a lot of calls and Emails regarding the availability of good used D2 bottom rollers. We can seldom assist. New D2 bottom rollers are no longer available and if you priced out all the indvidual parts required to put one together, piece by piece, you are spending several hundred dollars per roller. D2 rollers are 50 mm larger OD than the D3 rollers and have a different mounting hole pattern. D2 Track frames are removed from the crawler and turned upside down. When you do the math, the rollers must be spaced 25mm from the frame. Put the rollers on a spacer bar equal to half (25 mm) of the 50mm diameter difference. "I also have converted my D2 4U series dozer over to cat D3C rollers, I had to add piece of 25 x 50mm flat bar under each side of the roller frame and redrill and tap the mounting holes, this works a treat, same chain width only the D3 rollers were 50mm smaller in diameter. Just a bit of useless info for you." Gary, The D2 to D3 conversion info is NOT useless information! After the holes were drilled and tapped, did you weld the strips to the bottom of the track frames or bolt the new spacer on using the old D2 tapped holes? Thanks for any additional information. I'll be sure and pass it on. I mounted the flat bar to the four rollers correctly spaced part, marked the holes pilot drilled, removed rollers, drill the 11.5 mm holes for the ½ bolts to be tapped in a drill press, once this was completed I bolted the rollers back to the new flat bar, position them on the track frame, tack welded in place, removed all the rollers again then fully welded the flat to the track frame, took me around about 4 ½ days to complete at me own pace, could be completed quicker now I know what is involved. You can use small clamps to temporarily mount the two long flat bars to the D3 roller flanges to mark the holes prior to drilling. 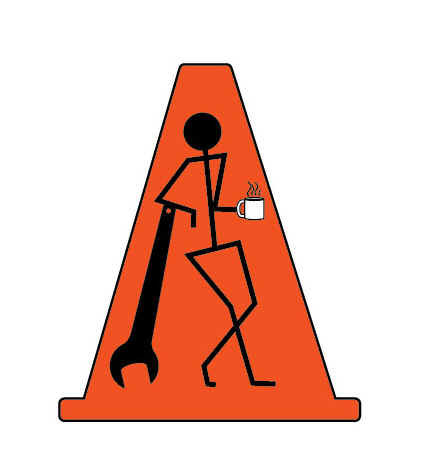 Sound like a lot of work! Not to me! You will end up with new bottom rollers, lifetime sealed, and one D3 roller will cost you less than the cost of two seals to partially repair your old worn out original D2 bottom rollers. It's your call.